Damon Albarn Admits Blur Never Finished New Album Because "It Was a Bit Too Hot"
A new album from Blur has been the subject of will they, won't they speculation for years. Now frontman Damon Albarn has once again shed light on the matter, explaining that the group have an album's worth of material almost complete, but this will likely remain unreleased because he was unable to write lyrics. 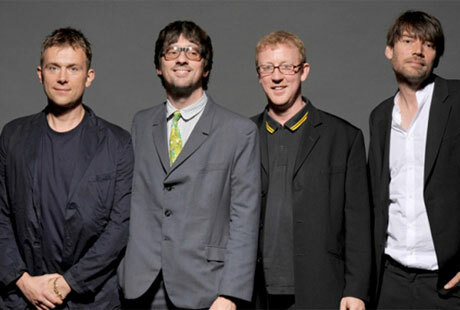 We already knew that Blur had been planning new material, and reports had emerged that the band recorded around 15 songs last year. In a new interview with NME, Albarn revealed the reason these songs are still in limbo. "There are about 15 songs we recorded in Hong Kong," he said. "The annoying thing is, if I'd been able to write the lyrics there and then about being there, we'd have finished the record. But sometimes, if you can't do it all at once, it dissipates really and I don't know what I'd sing about now with that record. There's some great tunes on there, but it may just be one of those records that never comes out." He also elaborated with this rather frustrating explanation as to why the songs weren't completed at the time: "There was too much commuting between where we were staying and where we were recording and it was a bit too hot. I think that's why we didn't get it finished." Considering that Blur fans have been waiting 11 years for a new album, learning that recording sessions floundered because of the weather being "a bit too hot" is bound to be irritating. On the bright side, the band just announced an impending North American release for their concert album Live at the Budokan.